The government wants a federal appeals court to hold Moving Water Industries responsible for $15 million in damages previously awarded by a District of Columbia jury in a whistleblower suit. The government claims that the Florida based company filed false documents in connection with a multi-million dollar loan from the U.S. Export – Import Bank. The loan was to help Nigeria acquire irrigation equipment. A federal judge ruled that because Nigeria had repaid the loans, Moving Waters couldn’t be held responsible for triple damages under the federal False Claims Act. That law allows the government to collect damages from companies or individuals that defraud the government or a government funded program. It also pays whistleblowers up to 30% of whatever the government collects. Congress included a triple damage provision in the False Claims Act to deter people from defrauding the government. In 2013, a jury had concluded that MWI should be liable for $7.5 million in damages because it failed to disclose extraordinary commissions relating to the sale of its irrigation equipment. Testimony suggested that their Nigerian sales representative was receiving commissions of 26% to 37%. The normal commission was closer to 5%. The Export – Import Bank, which relies on tax dollars, wants to make sure that all its loans are going for valid purposes and not for bribes or kickbacks. Because the claim was filed under the False Claims Act, the $7.5 million should have been tripled. After the jury’s verdict, however, the trial judge reduced the damages because Nigeria had repaid the loan. The decision to reduce the damages is now on appeal. The case was originally filed by former MWI employee – turned – whistleblower, Robert Purcell. People with inside information about fraud against the government or a government agency such as the U.S. Export – Import Bank can receive substantial awards for their information. Typical awards range from 15 to 20% of what the government collects but can be higher in certain circumstances. A damage figure of $22,500,000 would typically mean a $3.375 million award to a whistleblower such as Purcell. 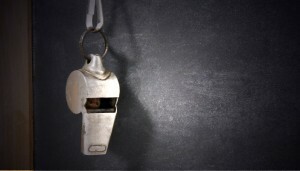 MahanyLaw is a full service whistleblower law firm. We help ordinary people put a stop to fraud and misconduct. We also insure that our clients qualify for the maximum available awards. To date we have brought several, billion dollar claims including the record breaking $16.65 billion case against Bank of America. We stand up to fraud no matter how large or powerful the corporate law breakers may be. or by telephone at (414) 704-6731 (direct). All inquiries are kept in complete confidence and protected by the attorney – client privilege.